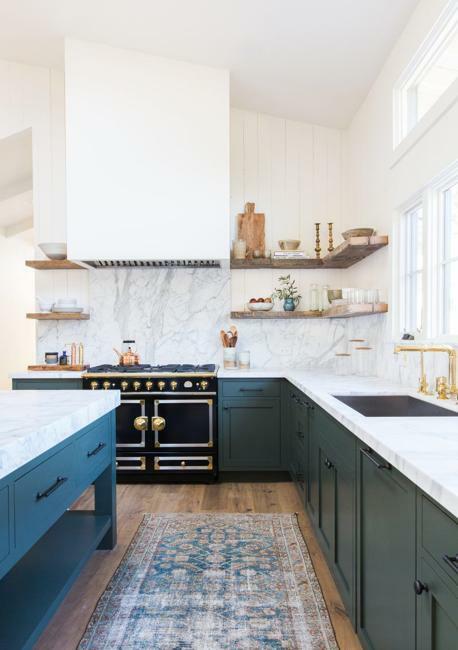 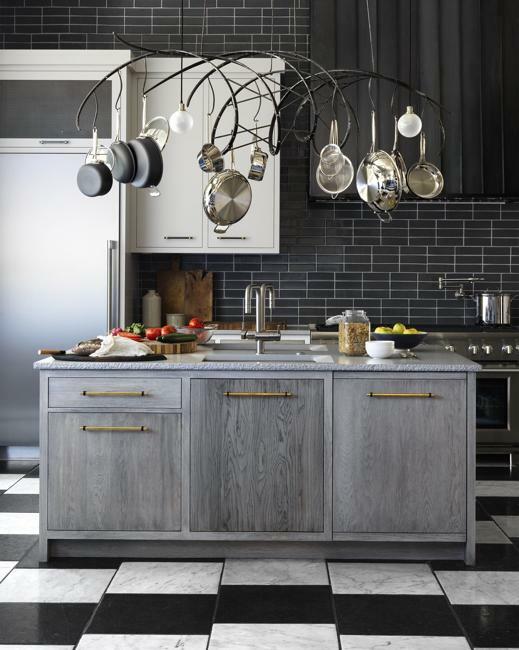 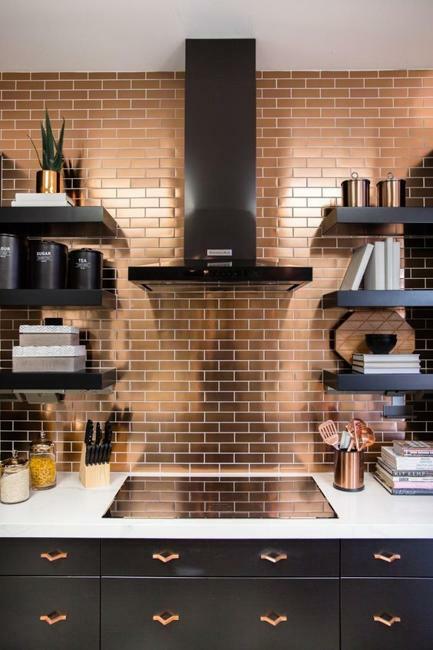 From traditional ceramic tile designs to trendy wood-like, shiny metal, and mesmerizing glass, there is seemingly unlimited ways to brighten up and personalize modern kitchens. 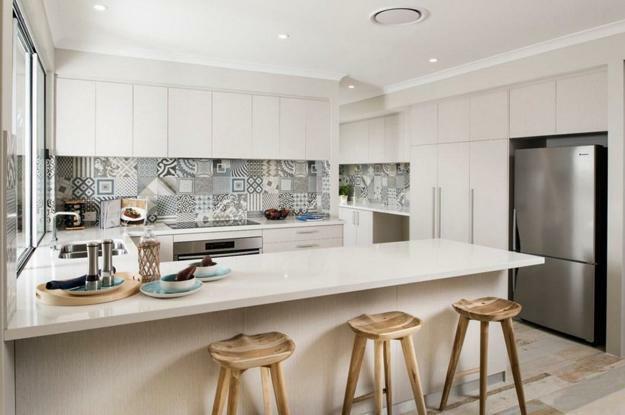 Tiled backsplash ideas, wall or floor tiles offer fantastic designs to give a stylish look to modern kitchen interiors. 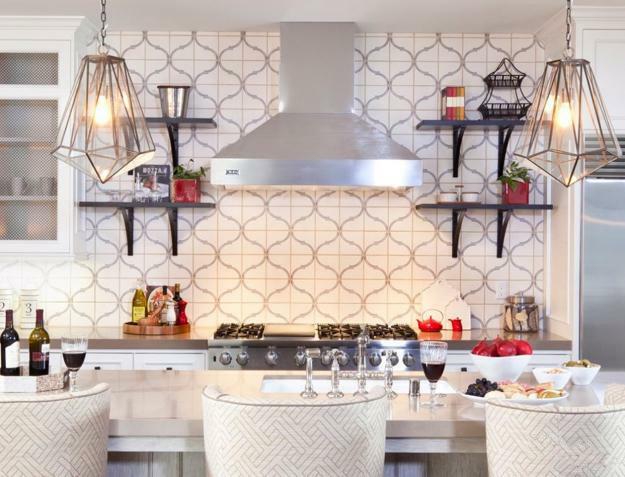 Tiles are still the most popular backsplash materials, a modern wall decoration, and favorite flooring ideas. 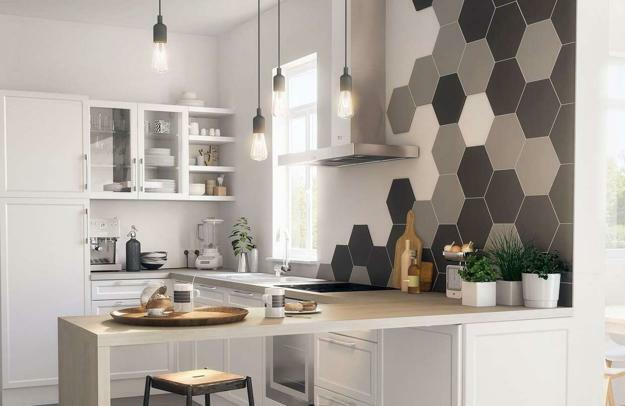 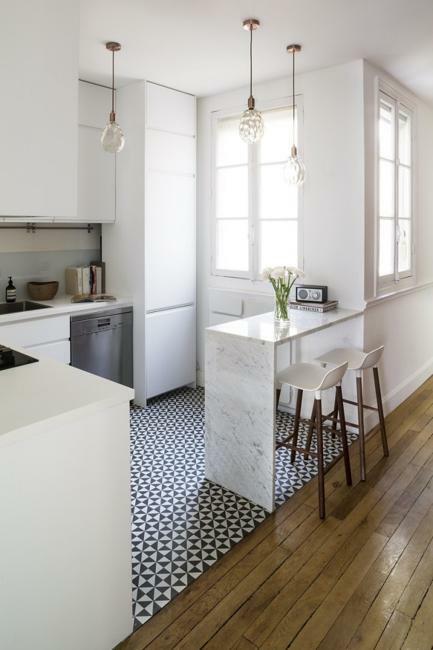 With beautiful ceramic tiles that come in various colors, shapes, textures, sizes, and designs it is easy to find elegant and modern tiles for every kitchen design project. 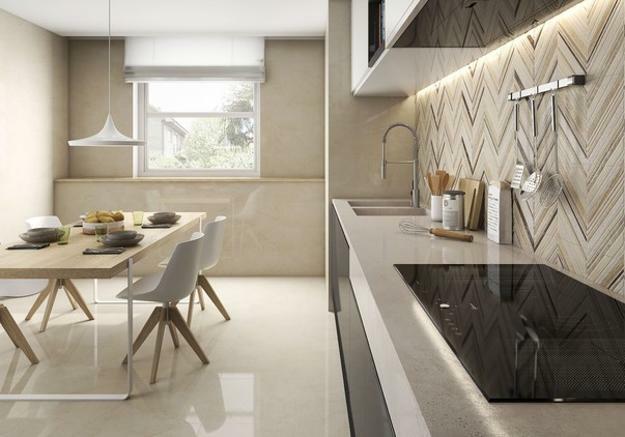 3d designs, matter or reflective finishes, surfaces that are mimicking wood, natural stone, concrete or fabrics, tiles that blend metal and concrete are modern trends in kitchen tile designs. 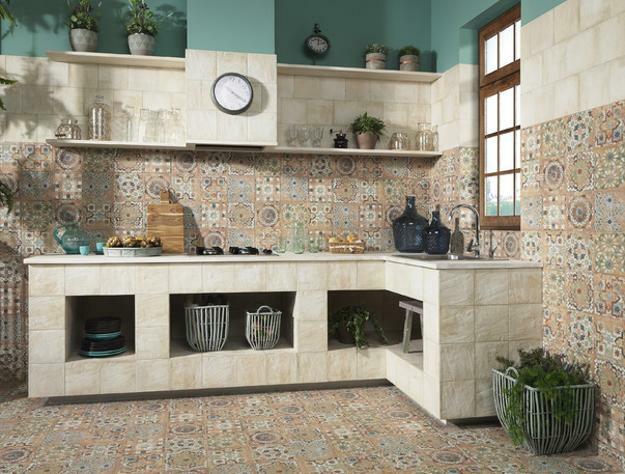 Beautiful ceramic tiles can brighten small spaces and create gorgeous surfaces in large kitchen interiors. 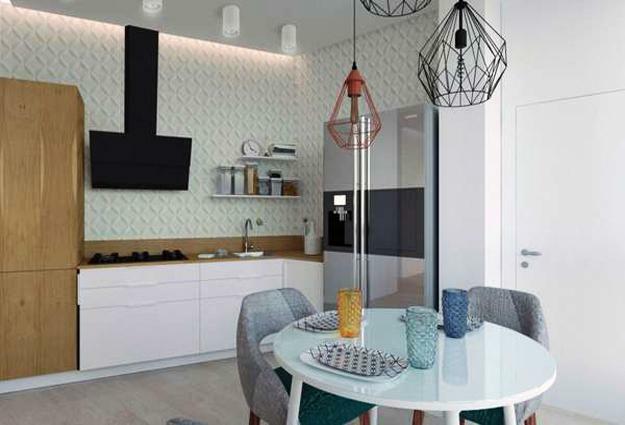 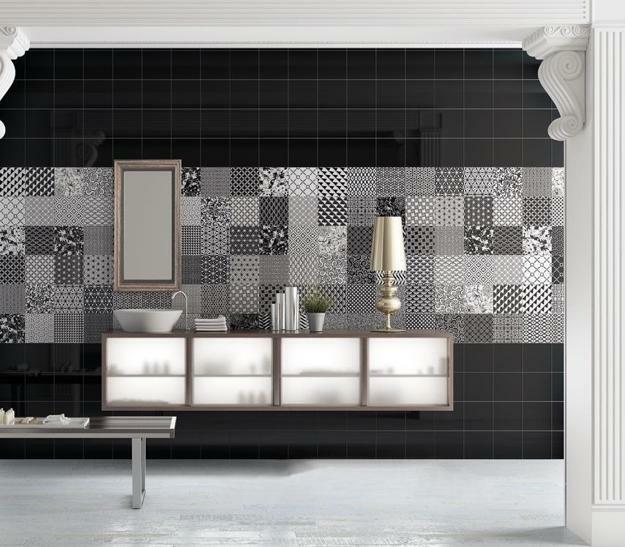 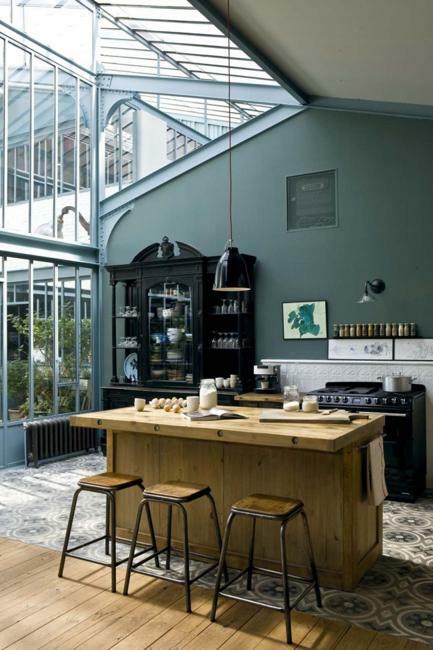 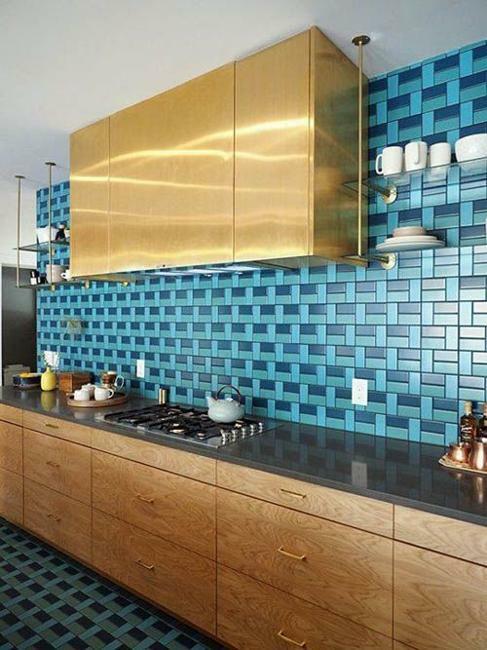 Contemporary design ideas and vintage style tiles pair well for giving a unique look to modern kitchens. 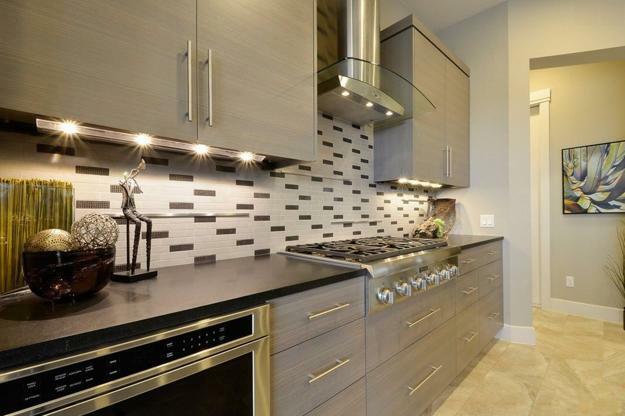 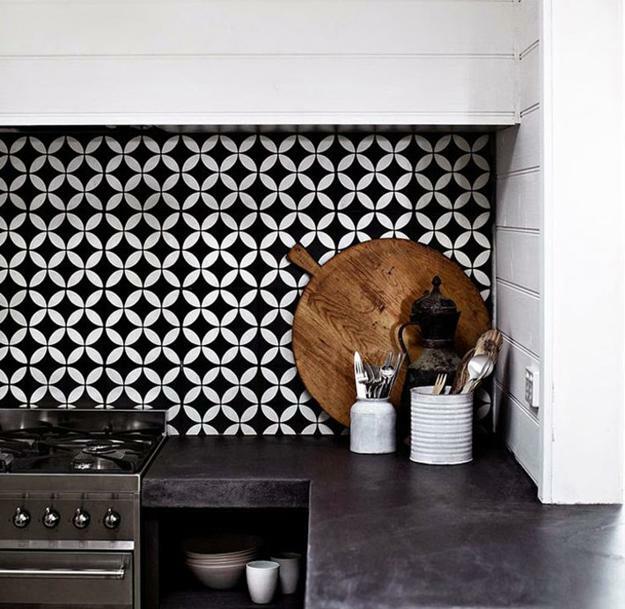 Glossy tile designs in black, white, and gray tones are hot kitchen backsplash ideas. 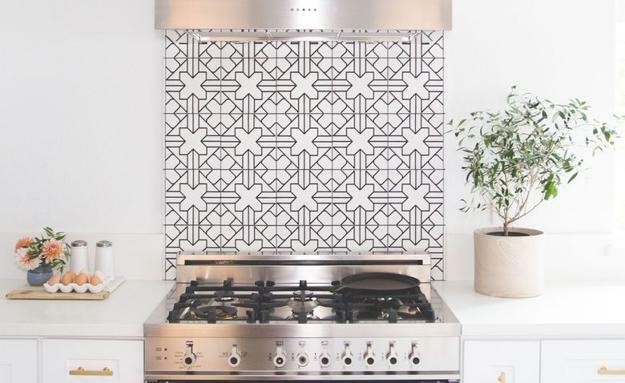 Moorish tiles, patchwork designs, Moroccan tiles, and all geometric tiles offer beautiful flooring ideas and create eye-catching wall decoration. 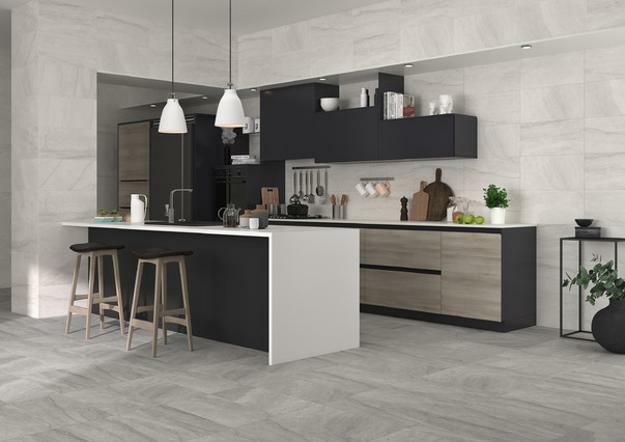 Because ceramic kitchen tiles are produced from materials by baking under high temperatures the tile designs conduct heat well and offer durable and beautiful solutions for functional, modern kitchens. 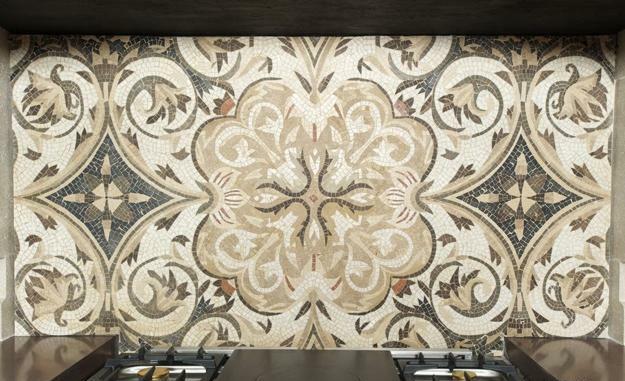 Modern tile designs add beautiful murals to kitchen walls and beautify floor decoration. 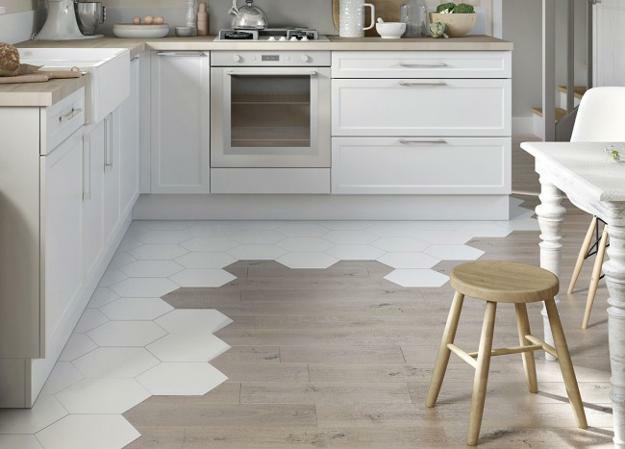 Mosaic tiles and oversized tile designs are perfect flooring ideas which are versatile and suitable for many interior design styles. 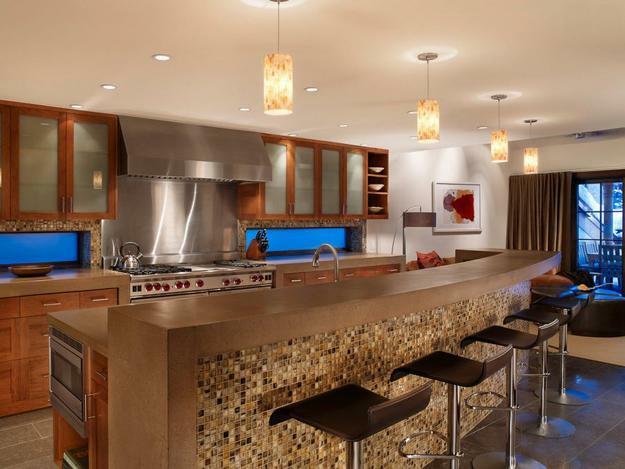 They are attractive, practical, and durable, ideal for busy homes. 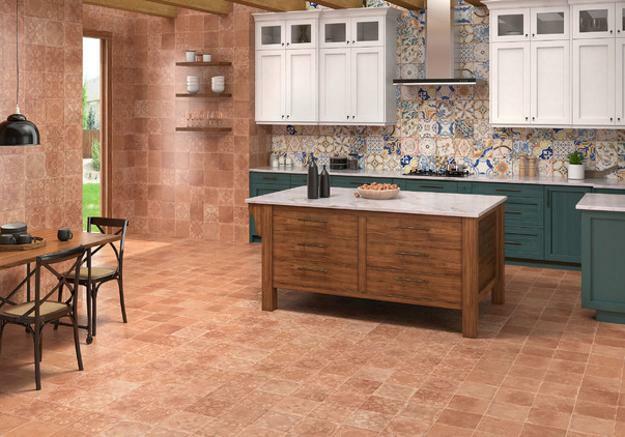 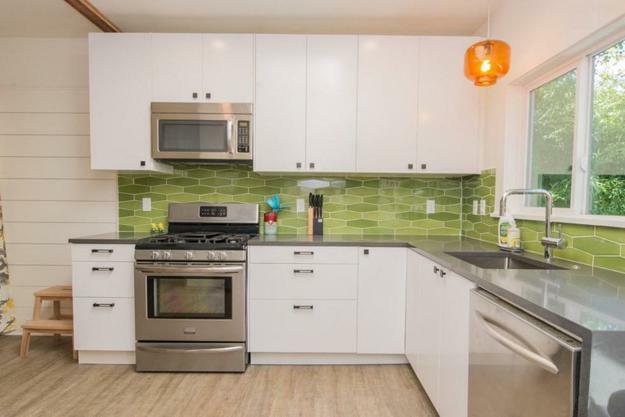 Ceramic kitchen tiles work well on horizontal and vertical surfaces. 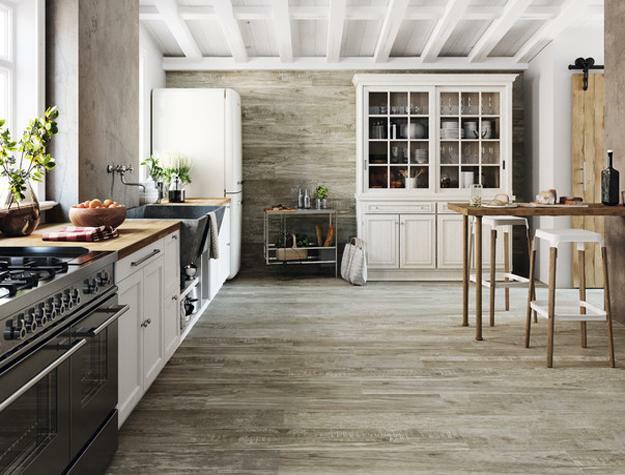 They are resistant to stains and splashes. 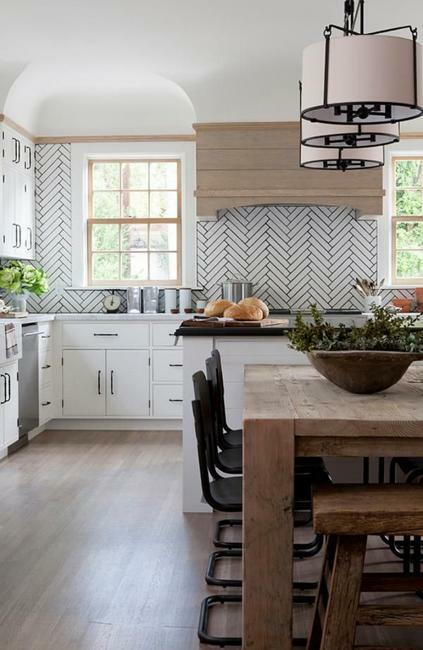 If you are looking for kitchen backsplash ideas or flooring ideas, check out the collection of modern kitchen interiors and find the inspirations for your kitchen renovating project.